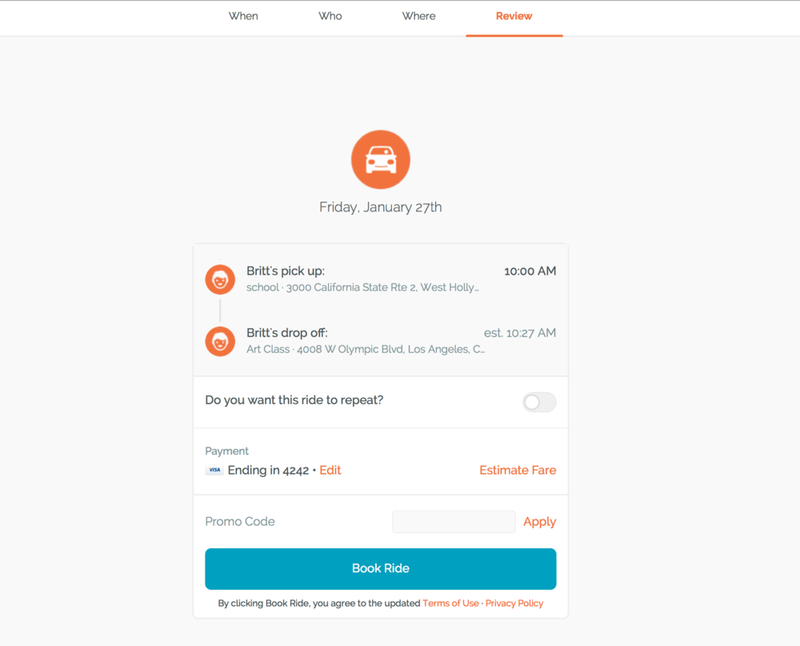 When scheduling a ride using the HopSkipDrive website, you can apply a promo code or gift card code to your ride on the final, booking page. Just type the promo code in the promo code box and click “Apply”. If the promo code is valid and accepted an orange checkmark will appear. Your estimated ride fare will be adjusted to include the promo code’s discount. If the promo code or gift card code is valid and accepted, an orange checkmark will appear. Your estimated ride fare will be adjusted to include the promo code’s discount. Your promo code reward or gift card credits will sit in your HopSkipDrive account and apply automatically to your next rides. Your ride must be booked in order for the code to be redeemed.